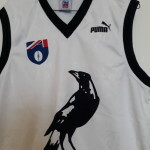 Vintage Football Jumpers are becoming a rarity as they become highly collectable for AFL football fans, historians and archivists. 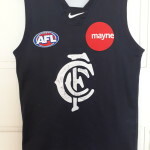 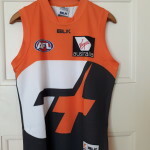 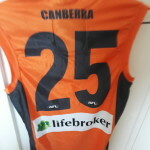 Passionate footy fans seek to have a complete set of their clubs football jumpers, jerseys, or guernseys. 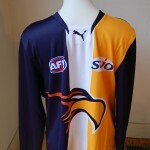 Over a period of time these fans have seen many changes in the style, logos and designs of the jumper. 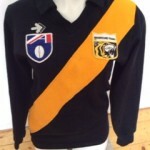 It was originally made of knitted wool, then acrylic to the modern day polyester . 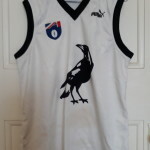 A popular, modern style is the sleeveless variety replacing the more traditional long sleeved version of previous decades. 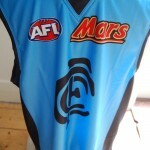 In 1996 the AFL changed its logo to the current one . 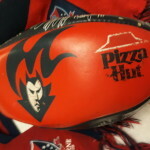 Clubs have reinvented their team logos with rejigged mascots and revamped signage. 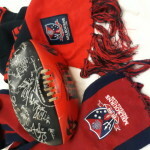 What remains as a constant is the much revered team colours, the team name and a version of the mascot. 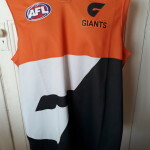 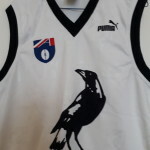 Many Historians and Archivists are creating a curated collection of the humble AFL football jersey, guernsey, jumper as a record of the games past, present and future. 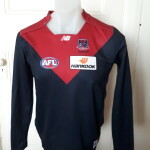 The older style jumpers, often much beloved of football fans are growing in popularity and are becoming increasingly hard to find.